The title of this post reminds me of a children’s storybook title, but really I just wanted to share how much I love spray paint! 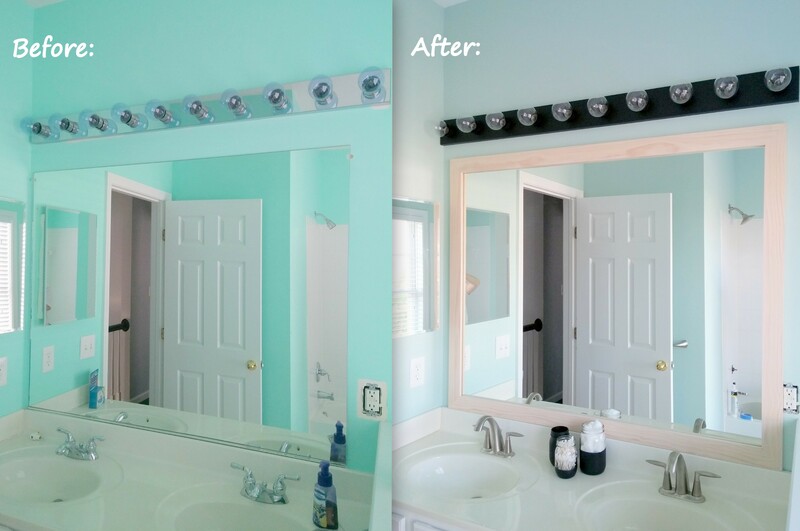 It truly allows you to transform anything you already have in your home that just needs a bit of updating. I received my record player as a Christmas gift from *Santa* a few years ago, but i never had anywhere to put it, so it stayed on my dresser for a while and I kept my records just in a drawer somewhere. I just didn’t know what kind of record cabinet I wanted to have! The other week I was browsing some Facebook yard sale pages and I came across this mini record cabinet! Although I was fairly worried it was going to be too short to realistically use, it was the perfect height once I put my record player on top. I searched around the internet for cabinets similar to this one and I found this one & also this one. Updating this piece was so easy! I took off the doors and set them aside. 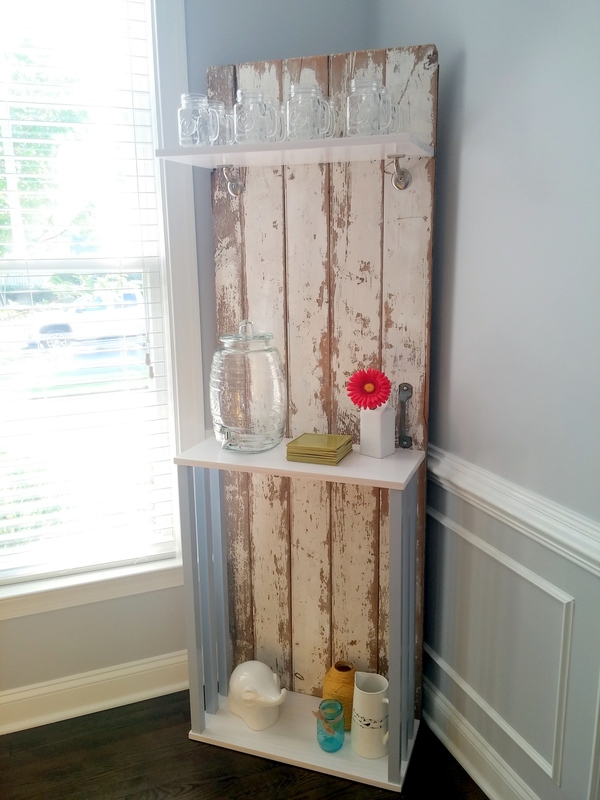 I used a piece of sandpaper we had lying around our basement and I roughed up the top and sides of the cabinet. 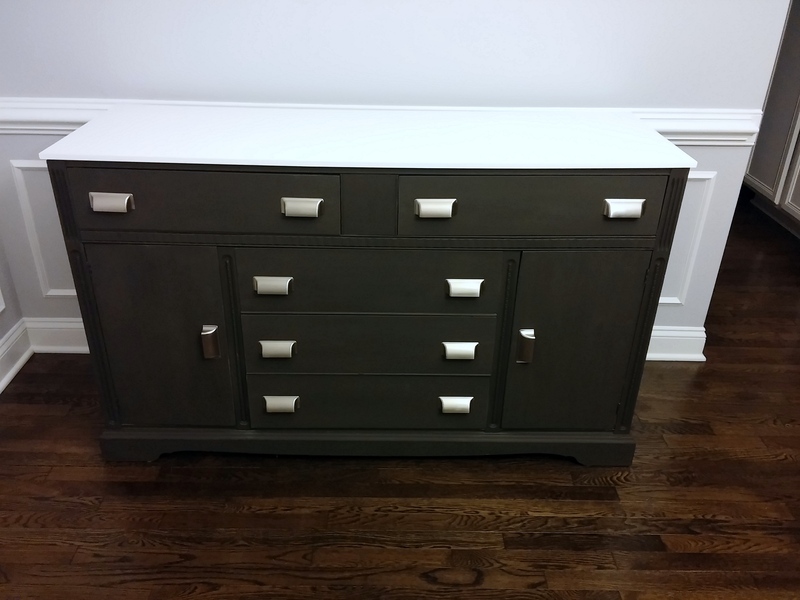 I bought a can of Rustoleum white semi-gloss spray paint I bought at Home Depot (okay, it really took me 2 cans of spray paint) and began to spray away! The important thing to keep in mind with spray paint is not to spray too much paint in one area at a time, otherwise it could begin to build up and form drips. Just do light coats and continue to spray until the entire piece is evenly covered. After that was done I cleaned off the doors and replaced the knobs (you can buy the knobs here). I don’t know if I ever pictured myself as someone who found so much happiness in gaining other people’s trash, but here we are. 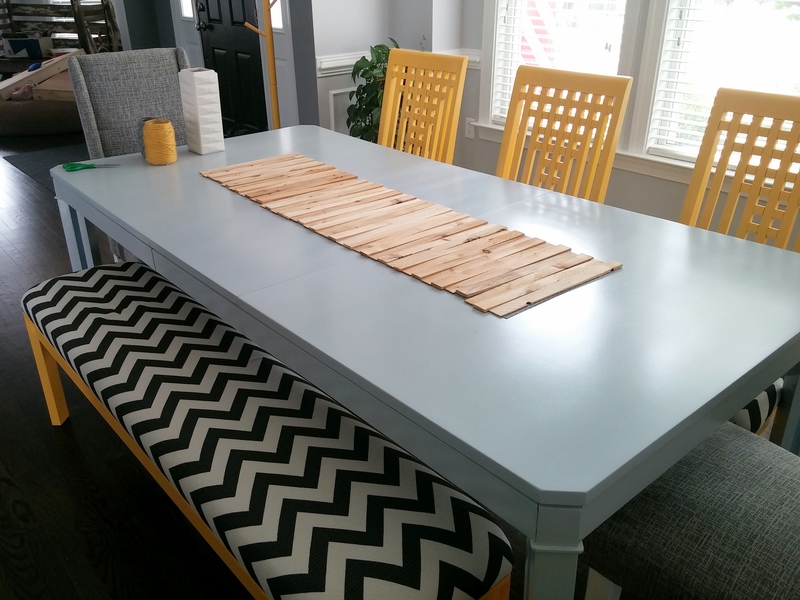 We absolutely love this table, and the BEST part is that it was made out of a dining table that one of our neighbors threw away! 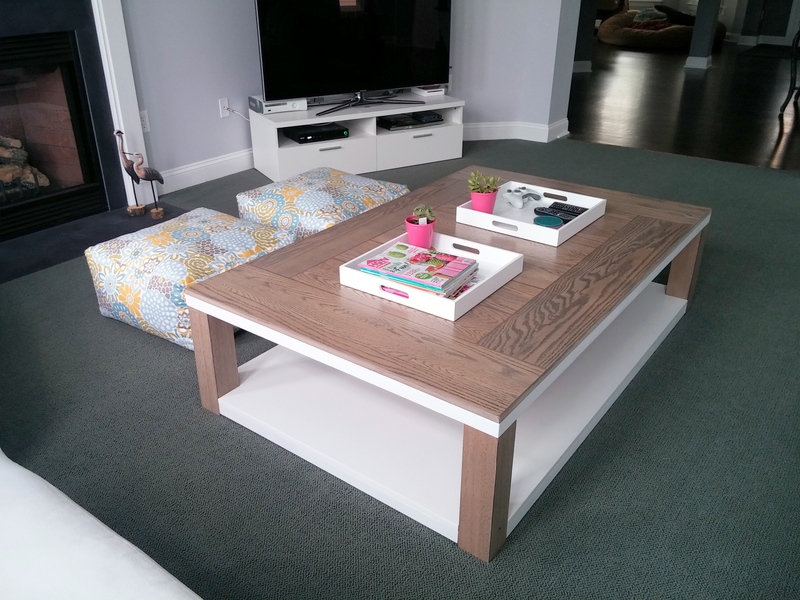 We had been planning on building a custom coffee table for a while now because we were being pretty picky about what we wanted. So it was pretty perfect when we discovered this dining table just waiting for us to rescue it and convert it into our beautiful coffee table! The dining table was 3.5 ft by 5 ft, and while that is a really large table for a coffee table, it fits our space perfectly. 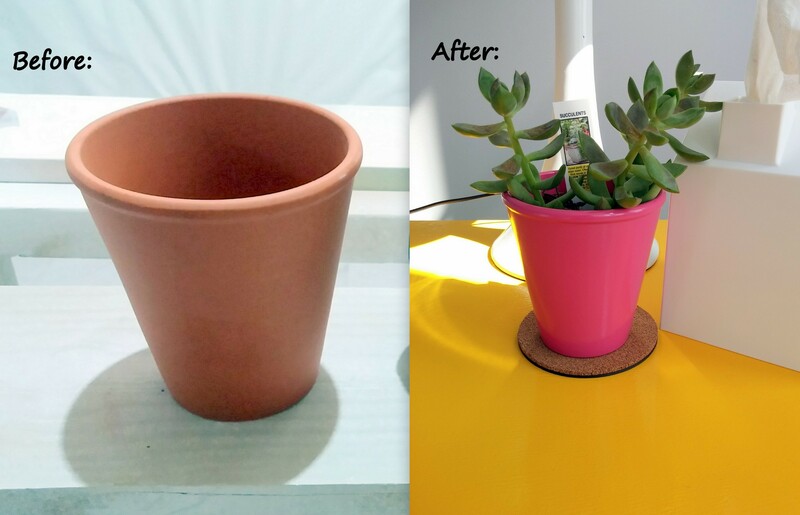 This process was not as easy as it might look: it involved a lot of steps, but we couldn’t be happier with the end result. This was mainly a project my husband worked on, but I’m going to do my best to go through the process! So this table isn’t vintage or antique, and it doesn’t necessarily have a cool background story. 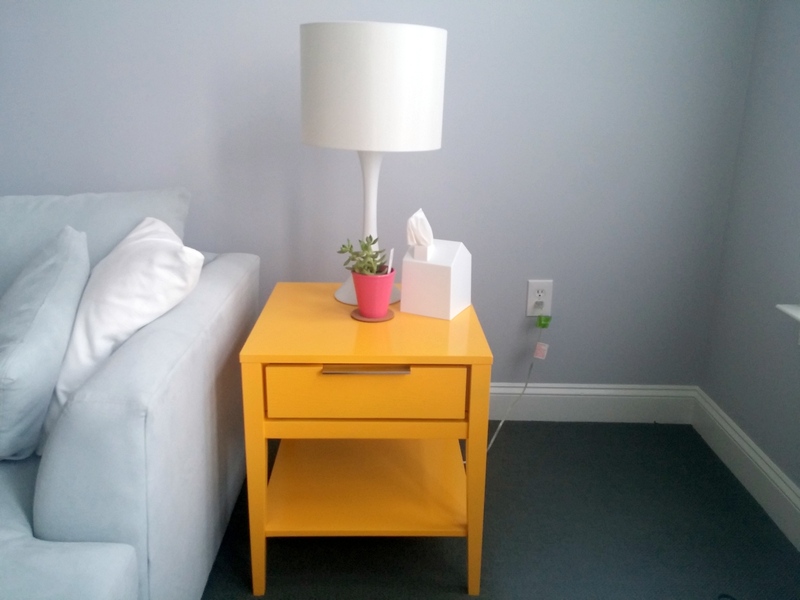 It’s a side table from Target that I bought when I lived in my old home to use as a nightstand in my guest bedroom. Since there wasn’t anything wrong with the table I decided to use it as a side table in our living room. It was kind of perfect because we only really had space for one side table due to the way we laid out our furniture. 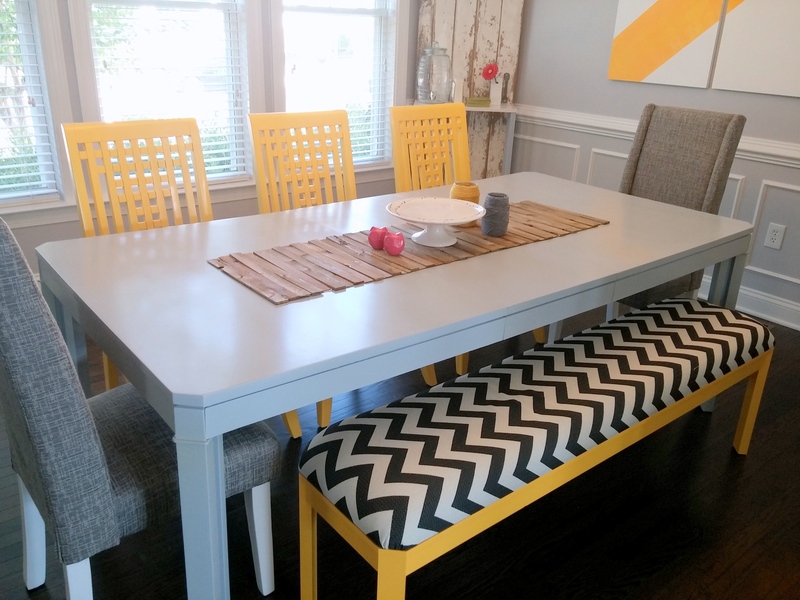 I REALLY love this table now that it’s a cheerful yellow. It’s the same yellow we used on our dining room chairs (Twenty Carat by Behr), and I just think it brings a certain element of happiness to our room! 1. I cleaned the table using TSP cleaner to remove any grease and dirt. 2. I sanded the table to ensure that the primer would stick to it. I had to be careful when sanding because this table is mostly veneer, so I didn’t want to mess that up because it could have ruined the look of the table. 3. I cleaned all of the dust off of the table. I first used a wet rag and then a dry rag to wipe it down. 4. I dissembled the drawer and put all of the hardware aside. 5. 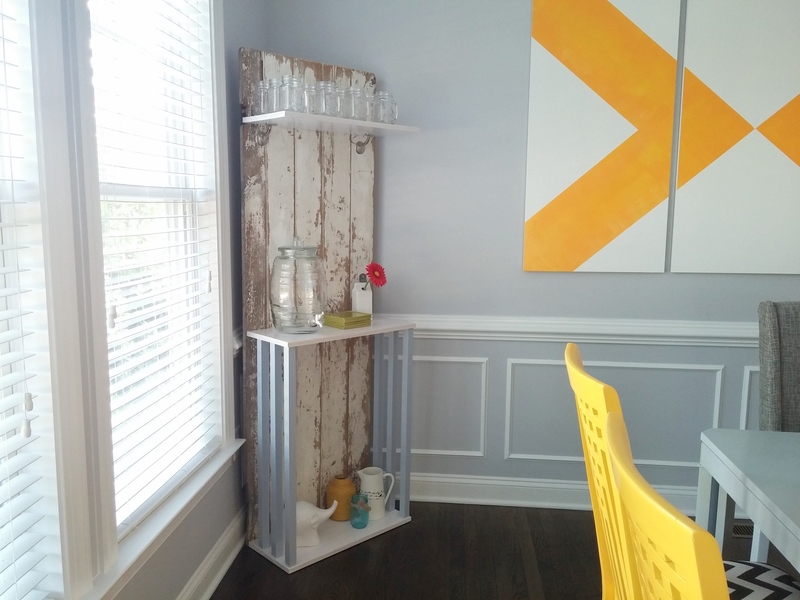 I primed the table and the face & sides of the door using Behr Stain Blocking Primer. This was the first time we’ve used this primer and we really liked it! You can find it here. 6. After the primer dried I gave it a coat of yellow paint. 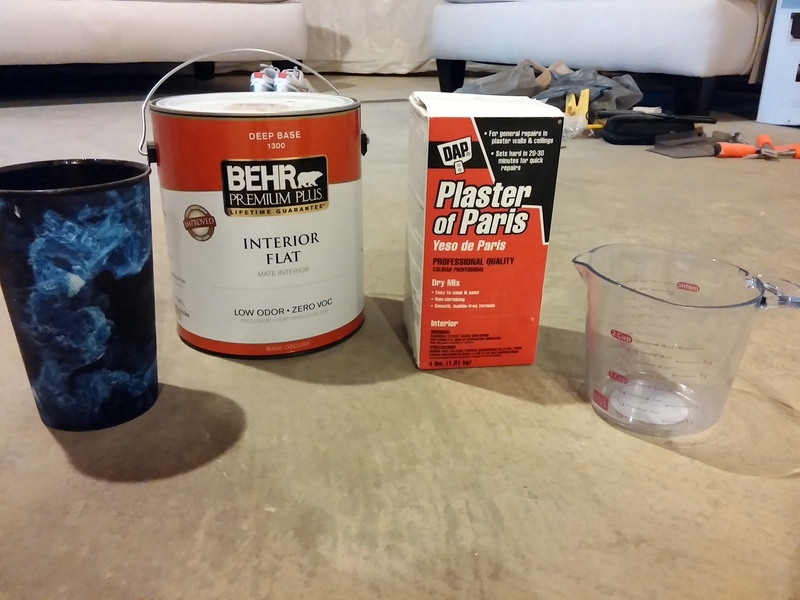 You want to make sure not to spray/paint so much paint at once that it builds up, so multiple coats of primer or paint may be necessary to get the perfect finish! 7. After a few days of letting the paint cure I added poly to the top of the table and to the shelf. I gave them 3 coats of poly. In between each coat I lightly sanded those areas to make sure that the poly would stick. 8. After letting the poly cure for 2 days it was ready to bring upstairs! 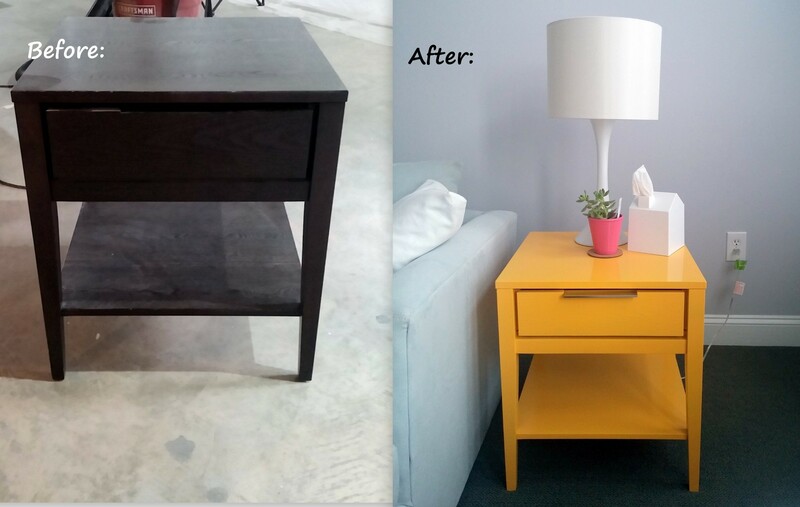 Our finished end table means we’re one step closer to finishing our living room!